It's back again! Here is your chance to buy or build a rain barrel on your trip to the hardware store. Buy a rain barrel for $50 OR build your own barrel and save $15! 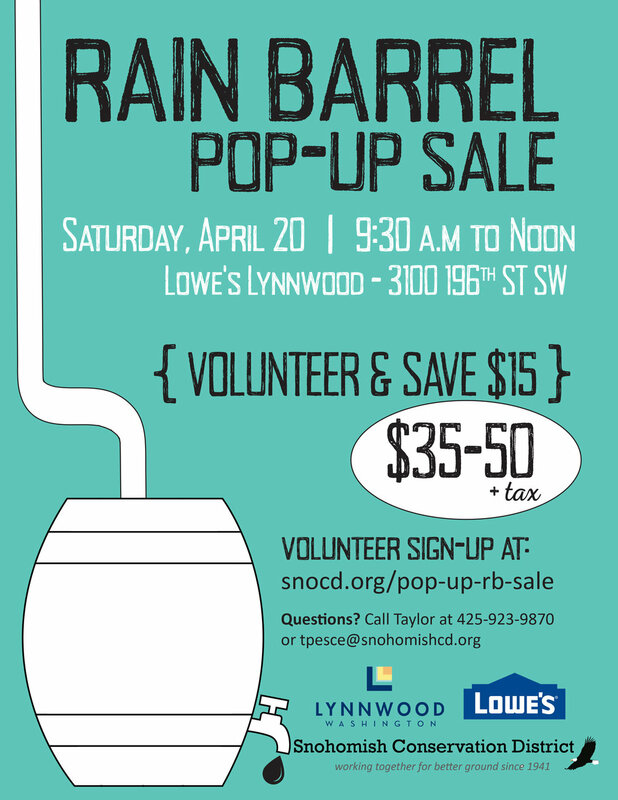 We are seeking VOLUNTEERS to help out this Earth Week putting together barrels to harvest rainwater! We'll show you how and then you can take your own barrel home for $35. Register today - https://snocd.org/pop-up-rb-sale! Barrels will be on sale for $50 on the day of the event while supplies last!